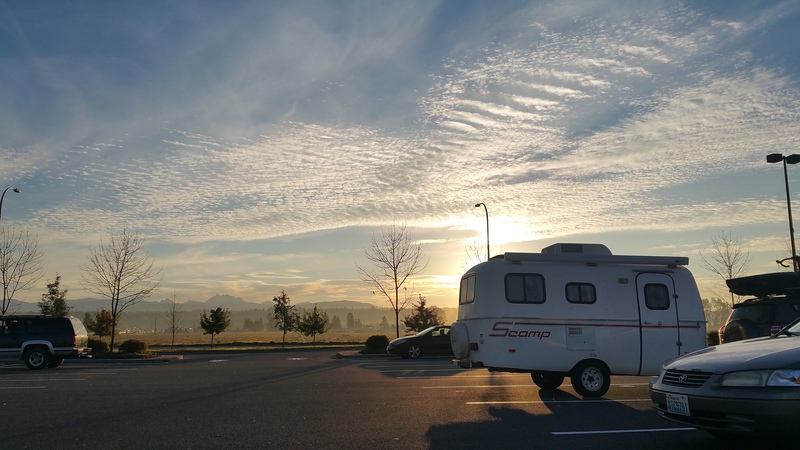 Between Mount Rainier and North Cascades National Park we spent a quick night boondocking at a Walmart in Arlington. Normally nights at Walmart are straightforward, perhaps sometimes loud and unmemorable, but our vicinity to the Cascade mountain range delighted us with a superb sunrise as we set out that morning. And sometimes nights at Walmart are followed by pleasant nights in a charming, new campsite. 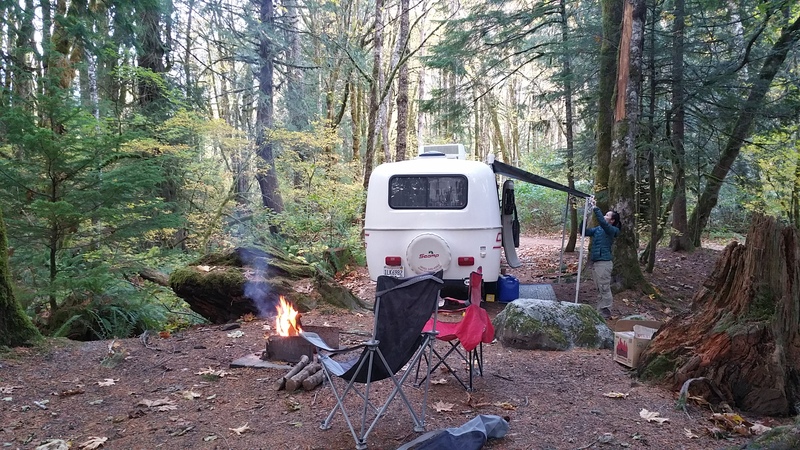 Having done my research prior to entering North Cascades NP, I discovered that the Goodell Creek Campground (right outside the visitor center) was open and free by mid-October. It also wasn’t quite winter yet, so the RV dump station and potable water source were still open near the visitor center. A campsite, dump, and water—all free at a national park? Romping & Nguyening! Despite our last minute Nguyening moment, there were still factors that limited our stay: recent fires from late summer, rain in the forecast, and trail closures for repair. 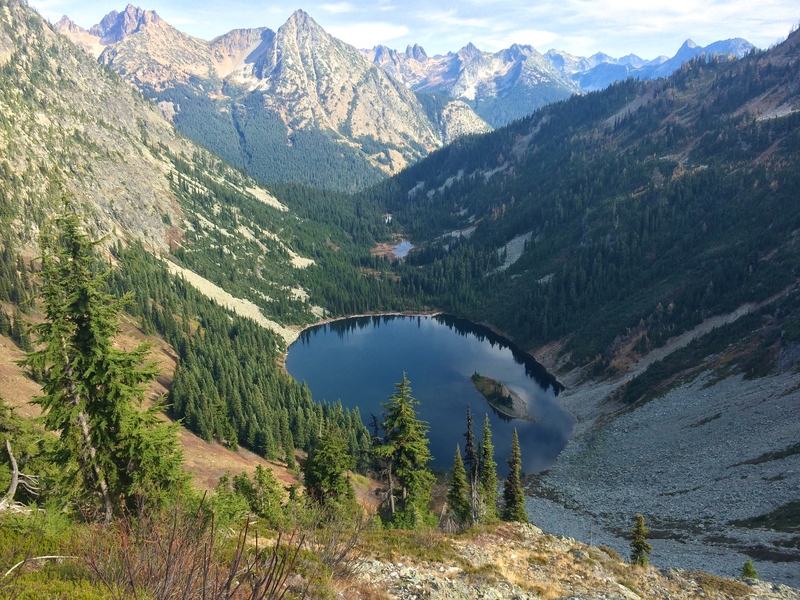 With only one full day, we spectated views from the popular overlooks and hiked the popular Maple Pass Trail. For some reason I underestimated the 7+ mile Maple Pass Trail at Rainy Pass. Having spent the last two days hiking and biking Mount Rainier, my expectation for North Cascades wasn’t high and my legs were a bit sore. 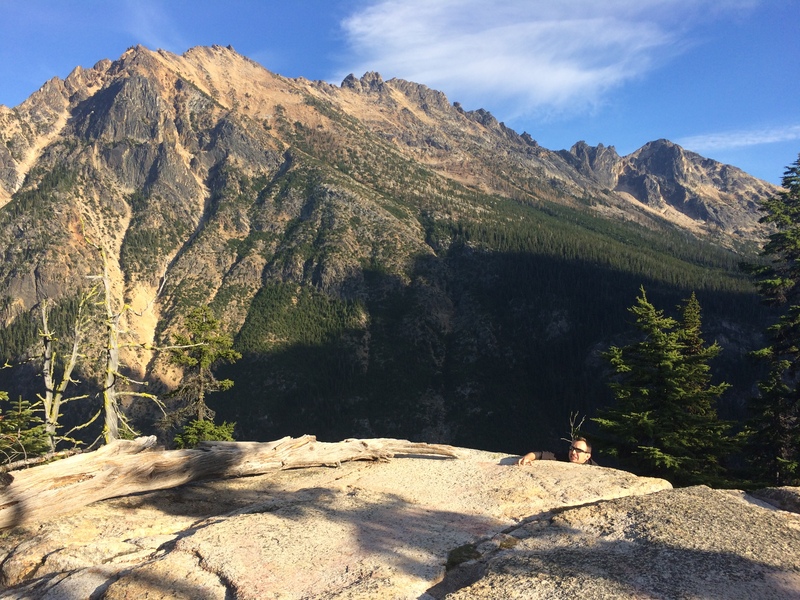 But this hike was epic, with narrow trails along ridges, a detour to and overlooks of Lake Ann, and panoramas of never-ending mountain ranges and craggy peaks. 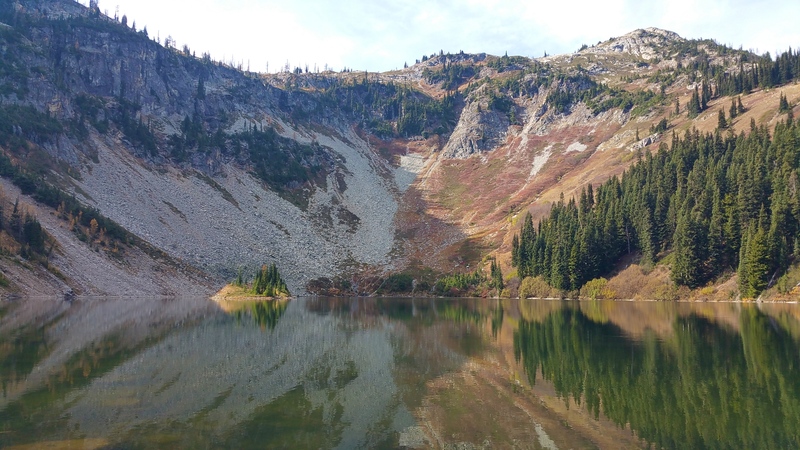 We hiked the quick .6-mile roundtrip detour to the foot of Lake Ann, whose reflection dazzled us all around. The higher up we climbed, the more spectacular the mountain views became. We continued to traverse up and down the mountain, passing by another small but beautiful lake (Rainy Lake) on the way down. The next day we stopped briefly at the Visitor Center to discover their recommended 1-day itinerary: a visit to all the overlooks and a hike along the Maple Pass. Ha! Looks like we made the perfect choice since that was the park’s recommendation. This entry was posted in Washington and tagged diablo lake, maple ridge loop trail. Bookmark the permalink.